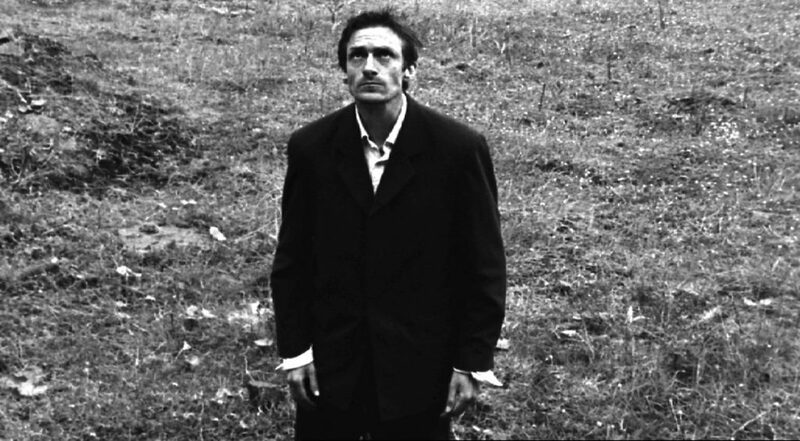 Jolley’s film, The Door Ajar considers an episode in the work and life of the influential French poet and theatre director Antonin Artaud (1896-1948). In the summer of 1937 Artaud arrived in Ireland with the intention of returning the alleged Staff of St Patrick to its rightful owners. 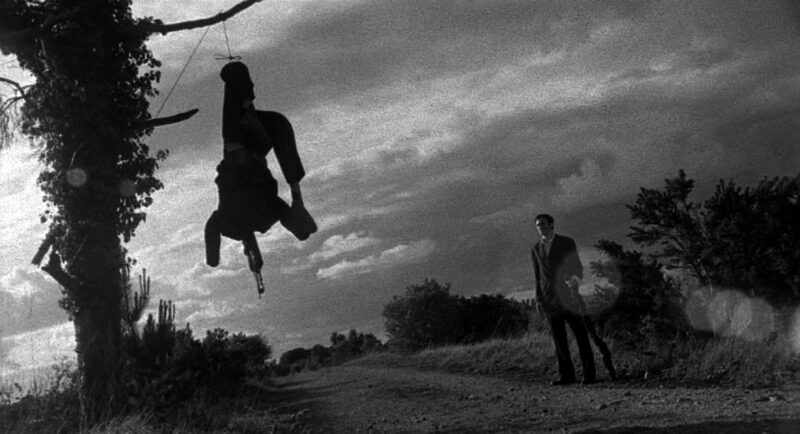 The film develops a partial and broken narrative around Artaud’s presence here, featuring two strong central performances—one visual and one aural. The first part relates to Artaud’s philosophy of life; the second is concerned with his search for ‘signs and portents’; and the third describes his crisis of resolve followed by the decision to move beyond ‘lucid madness’ in hope of attaining total epiphany. The film resists conventional narrative structure, preferring oblique, fragmentary sequences— effectively delivering ‘what could best be described as his unconscious breaking out into the conscious world’ (Steven Galvin, Film Ireland).